John Radcliffe left £4000 towards funding a hospital in Oxford, and a five-acre site in the fields of St Giles was donated by Thomas Rowney (MP for Oxford 1722–1759). The foundation stone was laid on 27 August 1761, the physicians and surgeons were elected on 13 September 1770, and the hospital opened on 18 October 1770, admitting seven patients to the two wards: Marlborough (male) and Litchfield (female). By 1771 there were two more wards (Rowney and Frewin), and these four wards accommodated 68 patients. 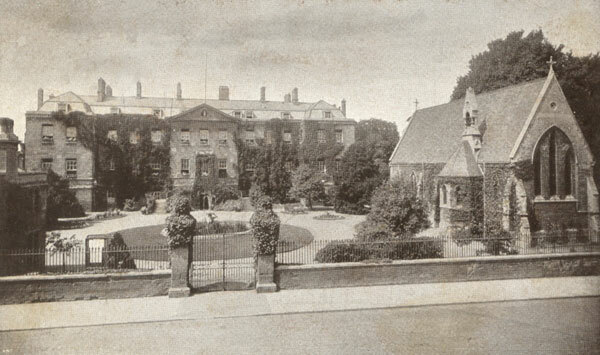 The hospital was funded by voluntary subscription, and those who subscribed more than £3 annually or who donated over £30 were allowed to be governors. The doctors at the hospital were all themselves in private practice, and at first there was no prestige in being offered a post there: the doctors were doing their duty to the infirm poor. Originally the rules stated that there should be six physicians and four surgeons, but in 1796 the rules were changed so that “the number of prescribing physicians do not at any time exceed four”. 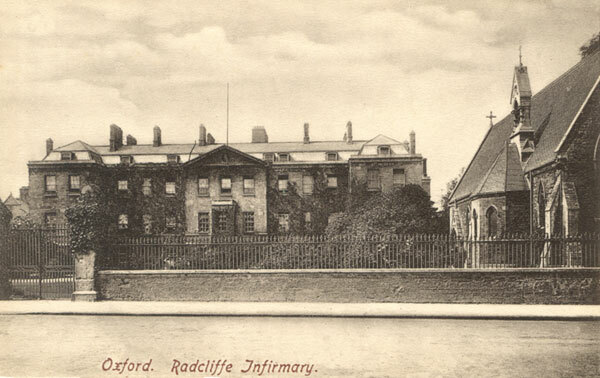 The Radcliffe Infirmary remained a hospital until 14 January 2007, when the last patients were moved up to the John Radcliffe Infirmary in Headington. 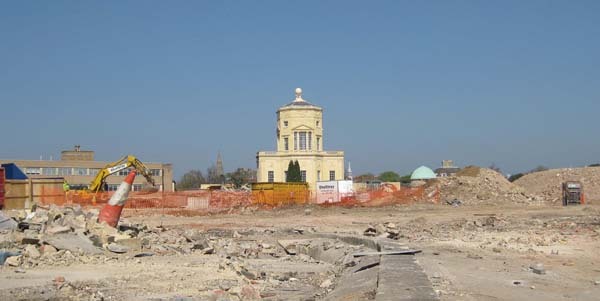 The University of Oxford bought the Radcliffe Infirmary site for development, but the old 1770 building will remain. Below: The demolition of the newer buildings behind the old Radcliffe Infirmary give an idea of what the back of the hospital and the nearby Observatory must originally have looked like when viewed from Walton Street. The three photographs below were taken on 3 April 2009.